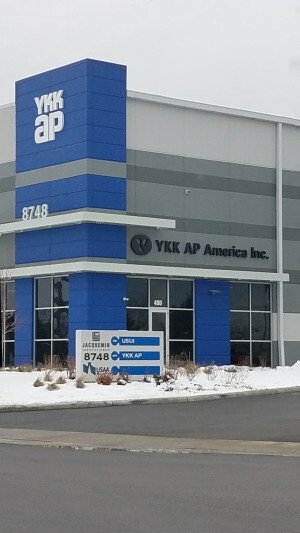 CINCINNATI, Ohio (Jan. 23, 2019) – YKK AP America today announced it has opened its doors to a new manufacturing facility in Cincinnati, Ohio. The manufacturing center, which will be dedicated to production, distribution and logistics, will improve the company’s service capabilities for customers in the midwest region. The establishment of this new facility underscores YKK AP’s commitment to quality and service for its customers both locally, and across the country. The new manufacturing facility offers 100,000 square feet of space designed to increase YKK AP’s local production capabilities and allow for more finished goods inventory. It will serve as a key U.S. distribution center for customers serviced from the Chicago and Cincinnati branches. Additionally, the facility will contribute to local economic growth, creating approximately 30 jobs in manufacturing and operations over the next three years. YKK AP’s new manufacturing facility will be managed by YKK AP veteran Thomas Belmont, who will lead a team of dedicated operations personnel. The Cincinnati branch, now collocated at the facility, will continue to focus on customer service, estimating and other support services. Glenn Smith remains general manager of the region with responsibility for the Cincinnati and Chicago branches. Together, Smith, operations manager Belmont and YKK AP’s dedicated team will work together to deliver industry-leading service to support customers’ needs in the midwest region. To learn more about YKK AP America’s commercial facade systems and residential doors and windows, go to www.ykkap.com.